One of the lessons I’m learning is how to acknowledge when you need to take back time for yourself. I’m not even talking about self-care here, I’m talking about saying no to everything that isn’t an absolute necessity. There are many things I’d love to do consistently—the weekly mom meet-ups, organizing playdates, hosting friends for dinner, meeting up with friends socially—but consistency requires energy. I am running very low on energy currently, so for the time being I have to say no, or at least say yes in moderation and in deference to my ability to truly show up. 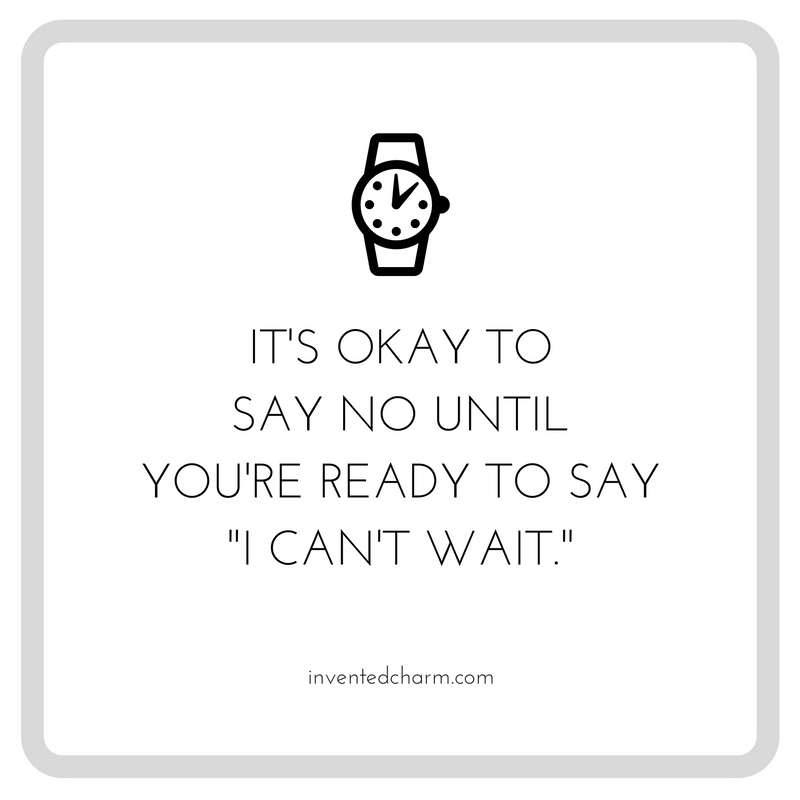 I hope this resonates with you, and I want to assure you that whatever you guilt you might feel in the moment when you say no will be short-lived. Give yourself the grace to have a night in or a week in a row if you’re the on-the-go type. No one is going to die if you miss the gym or dinner and drinks after work. If you feel like there isn’t anything you can cut out, at least reduce your expectations and just give yourself time to breathe. Scrounging around in the freezer and relying on pantry staples may not be exciting, but spending less time cooking and cleaning will be worth it. In my case it all worked out, because my friend is rad and invited me and my kid to lunch tomorrow, and I finally feel like rejoining the land of the living.